Cheap grace means grace as a doctrine, as principle, as system. It means forgiveness of sins as a general truth; it means God’s love as merely a Christian idea of God. Those who affirm it have already had their sins forgiven. The church that teaches this doctrine of grace thereby conveys such grace upon itself. The world finds in this church a cheap cover-up for its sins, for which it shows no remorse and from which it has even less desire to be free. Cheap grace is, thus, denial of God’s living Word, denial of the incarnation of the word of God. Cheap grace is that which we bestow on ourselves. 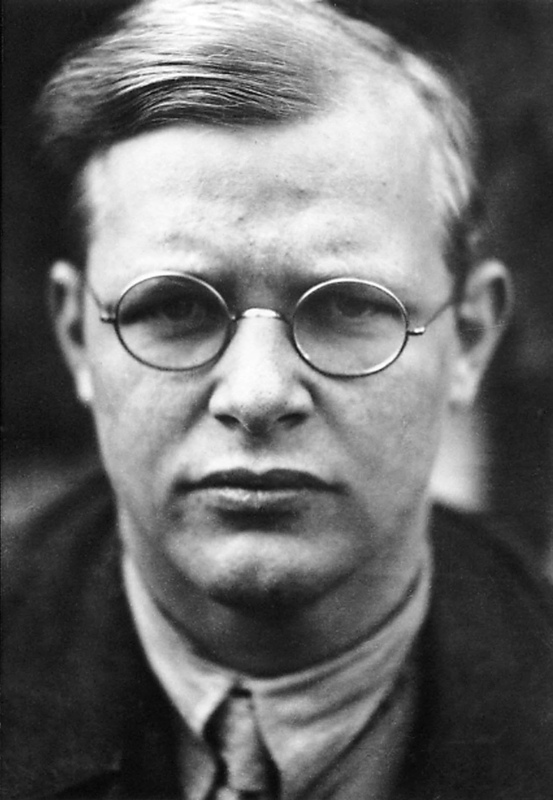 Bonhoeffer is so amazingly wrong about most of this! I would go so far as to say that even though he is to be revered for his imprisonment and martyrdom in Nazi Germany, this bit of writing is satanic clap-trap. Yes, satanic; don’t ask me to try to soften this because I won’t do it. Down below I’m going to spend some time supporting this statement, but first we’ll walk through this quote piece by piece. As a whole, it seeks to kill the actual gospel and goes against huge swaths of critical sections of scripture. Easy-Believey Sloppy-Agape Fire-Insurance Get-out-of-jail-free-card grace is the only grace which is real grace. The idea of free grace may offend the flesh, but we’re not trying to walk by the flesh here! being justified as a gift by His grace through the redemption which is in Christ Jesus; (Romans 3:24, NASB). 15 But the free gift is not like the transgression. For if by the transgression of the one the many died, much more did the grace of God and the gift by the grace of the one Man, Jesus Christ, abound to the many. 16 And the gift is not like that which came through the one who sinned; for on the one hand the judgment arose from one transgression resulting in condemnation, but on the other hand the free gift arose from many transgressions resulting in justification. Paul could not be more clear that grace is not just cheap – it is FREE. It is a free gift. In fact, it is given while we were still helpless. That means if it wasn’t free we couldn’t afford it. Dietrich says cheap grace is “grace as the church’s inexhaustible pantry, from which it is doled out by careless hands without hesitation or limit. It is grace without a price, without cost…” Well, that sounds fantastic! I think grace is the church’s inexhaustible pantry! Besides, what could be careless about giving out the one thing people need without hesitation? I think it should be doled out without hesitation or limit. He would sound like he was preaching the merits of free grace if he wasn’t mocking it! It is supposed to be grace without price and without cost, because as we’ve seen, IT IS FREE! Are we going to hold it out like a carrot on a stick until some mysterious milestone of obedience has been met? Big D says that cheap grace is grace that is a doctrine or an idea. First, Jesus is characterized in John 1 as being the Word incarnate (John 1:1,14). Words and ideas have great substance and power. You may say that something is “mere words”, but adding the word “mere” on the front doesn’t reduce the power of the message of salvation through the free gift of Christ. A point cannot been proven merely by declaring an opposite point with mockery or disdain. Ironically, his idea about cheap grace is only an idea, and his idea that free grace is ineffectual and fake is a wrong idea. It does actually mean forgiveness of sins as a general truth, I trumpet that “idea” with the hugest fanfare! Big D says that those who affirm cheap grace have already had their sins forgiven. Well, count me in! Hallelujah! I love starting from the basis that my sins are already forgiven! What hell does he want us to drag through before we are allowed to think about having our sins forgiven? We need to prove we are worthy first? That isn’t going to happen. He misunderstands the idea of forgiveness. If I am to be forgiven, I have already committed the sin. No “cost” I could pay could undo it. If a guy has raped and murdered a young woman, at the trial, what can he do to appease the bereaved family? Nothing! The damage has been done. It is in their hands to forgive, not his. He can do absolutely nothing because he has already transgressed. All of our sin is like this; it is a completely false idea that we can do something to atone for ourselves, to make up for our wrongs. The best thing we can do is confess and throw ourselves on the mercy of those we have harmed. We want to downplay this because we want to think there is something we can do to change our guilt, to appease the vengeance we have incurred against our conscience. Our efforts aren’t just useless, they are an insult, because they seek to steal the power to forgive from the one harmed to continue to manipulate their lives. It is an additional harm, not a help. Well, if we are going that way, the price is too high — it is too late, there is nothing we can do. If grace isn’t free, we are lost. We remain in our sins until we give up all hope of making up for them by our own efforts. Big D, the sacred martyr, whose word is thus apparently unquestionable, says that the church that thus teaches this doctrine of cheap grace confers such grace upon itself. Well count me in, that is kind of church is the church I want to go to! What in the world is wrong with that? I am swimming in an ocean of offensively abundant free grace, just LOOK at me! Look at me luxuriating in all of this free grace! I’m swimming around and splashing and smiling and having the greatest time in this warm ocean of free grace. You should all jump in, the water feels GREAT! I think in one way he is correct: churches do preach cheap grace, and since the cheap price is too high, they lose the power of it. It isn’t cheap, it is free. If you are going to go with cheap, meaning there is some cost, you soften the impact of the law. You say, perhaps, not to commit adultery, but you neglect to say that if you even want to commit adultery, your covetousness is still a heinous transgression of the big 10. So, if you are going to make “grace” cost something, you have to go all the way and make it a steep cost. The problem is, the cost is too high; we don’t have it to give. The church that preaches cheap grace and the church that preaches costly grace make the same error: they don’t even preach grace at all. They have redefined it. If grace costs anything, it is no longer grace. Grace is a free gift. Big D says “The world finds in this church a cheap cover-up for its sins, for which it shows no remorse and from which it has even less desire to be free.” Of course it does. There is no church whether it preaches costly grace or cheap grace or free grace, that isn’t full of sinners and hypocrites and ragamuffins from the senior pastor on down. At least the free grace pastor can walk in the light and admit it. At least the free grace pastor can stop the ridiculous charade of declaring watered-down “doable” legalism while stripping the law of its grandeur and power and incisiveness. At least the free grace pastor doesn’t have to cast the cost of grace as something which we might be able to pay. There is only One who has the kind of resources to redeem our souls – His name is Jesus. Eventually, all the world’s sinning hypocrites are going to want to find a refuge from their conscience’s condemnation, and if there is no church full of hypocrites who walk in the light and hand out free grace from their inexhaustible pantry, then they will have absolutely nowhere to go. Oh the incredible catastrophic disaster that we preach a false grace that costs something! Sinners need free grace and this is what Jesus came for! 15 that whoever believes may in Him have eternal life. 16 “For God so loved the world, that He gave His only begotten Son, that whoever believes in Him should not perish, but have eternal life. 17 “For God did not send the Son into the world to judge the world, but that the world should be saved through Him. Where does it say, “that whoever shows enough remorse” may in Him have eternal life? Remorse is cheap and easy. I can go on sinning for years and show lots of remorse, in fact, I have been down that road in great abundance. Where is the magical point that there is enough remorse, or that it is the right kind of remorse? Remorse isn’t the key, it is close to worthless in terms of being rid of carnal attractions! The key is belief in free grace! Furthermore, who is Big D to say that those who seek free grace have no remorse or desire to be free? Of course they have a desire to be free or they wouldn’t take the free gift! If it wasn’t free they would still be imprisoned in their sins. The people who really want to be free break through the false notion that they can free themselves and land at the foot of the throne of grace, where we receive mercy to help in our time of need (Hebrews 4:16). Holiness isn’t a requirement to receive grace! Holiness is a gift of free grace! Oh man this quote from Big D makes me steaming mad. Big D says, cheap grace is a denial of God’s living word, a denial of the incarnation. What? Free grace embraces the incarnation. I don’t even know what to say to this statement. It is groundless and ridiculous. It is actually the other way around. Costly “grace” makes the source of “grace” ourselves, not the incarnate living Word. Enough said. Next we have this cryptic statement: “Cheap grace means justification of sin but not of the sinner.” Free grace doesn’t mean this at all. In fact, I call “BS” again, this statement doesn’t even make sense. Maybe he is talking about the idea of hating the sin, but loving the sinner. Or that cheap grace offers forgiveness but not cleansing. Costly grace is actually the “grace” that makes this mistake. Free grace justifies the person all the way, right up front. It justifies the person forever and bestows eternal life. He says that cheap grace implies “Our action is in vain”. He makes the classic mistake of thinking that by winning the lottery, you stay in bed and sleep all day because you can. Actually, you take all kinds of new action because your wealth affords you the freedom to act. Free grace doesn’t preclude us from action, it greases the gears and empowers it with great joy. He says “cheap grace is that which we bestow on ourselves”. That is nonsense; costly grace and cheap grace are the the kind we bestow on ourselves. Free grace is bestowed on us by God. Enough said. He says that cheap grace is preaching forgiveness without repentance. What is repentance anyway? A promise to change? If it means actual change, how do we prove it? Grace depends on a proven promise to change? This isn’t how Jesus talks about repentance. His version of repentance attracts the ragamuffins. His version of repentance causes angels to rejoice. His version of repentance leads to talk about lost coins being found, lost sheep being rescued, lost sons being welcomed home. Behavioral change is a gift, and a lifelong process. It cannot possibly be the condition for receiving the FREE GIFT of grace! This idea of costly grace is satanic, because it tantalizes us with the idea of grace, but redefines it so that it is unattainable. It changes the meaning from a gift, to a commodity which we do not have the resources to obtain. It makes us the agents of grace, not God, and causes God’s gift to be only for the righteous, and not to be given while we are “yet sinners”. You may protest that this is not what Big D means, but how does he feel about giving grace to one who does not pay the cost? He thinks it is no grace at all; he strongly says that grace must be earned. This is no grace at all, and by so doing, he has nullified the work of Christ. May it never be. There are far better answers to the idea of taking up our cross and dying to ourselves than to throw out the free gift of grace. If Big D is saved at all, it will be by real grace, grace which is not earned and is not broken by having terrible satanic hellish doctrines parading around as Christian holiness. Grace at any price, cheap or costly, is the mortal enemy of the church. We are constantly trying to put a price back on it, because grace which is free is simply too scandalous. If you are a sinner saved by grace through Christ and Him crucified, welcome to the scandal! Swim around in the warm ocean waters with me and shoot a little stream at all of the scandalized pharisees with me. They hate getting wet! Posted in Blog and tagged Refuting graceless Christians. K.C., you are a true brother! It does go on and on, you’re so right. I would be happy to chat about that. I have your email, I will contact you back-channel. Thanks. The “problem” with the scandalous grace you have masterfully described is that it requires the eyes of a Gospel-centered, Christ-exalting, Spirit-wrought faith to see it. Law cannot see it. For the Law is not of faith (Gal 3:12). Therefore, any shades of Law/moralism will aways obscure grace. True progress in Gospel-centered sanctification is not better doing, but better believing. Not better seeing with the eyes, but better faith-vision. Not better earthly attainments, but better apprehension of heavenly realities. Not better self-realization, but better Christ-exaltation. Not better me, but death to me, and the fullness of Christ-in-me. Not better introspection/self-examination, but better love for Christ and others. Not fuller code-obedience, but being filled with the Spirit. Lord, increase my faith and make me to see Jesus in ever greater degrees of glory! You are wrong. It is faith alone, that comes from Satan. James states that faith alone does not save. Christ states you will be judged according to your works several times. Paul states that drunkards and fornicators will not inherit the kingdom of God. None of this is faith alone. Any person that believes in grace alone is completely delusional, and deceived even if they ware well meaning. He says, if you only say you have faith, but you don’t actually have faith (like you), you are similar to a person who won’t share goods with a person in physical need. “Even so,” it says, if you say you have faith but you actually do not, you are the one who sees people in need of redemption and forgiveness and absolution through Christ’s blood, but you refuse to give it. So your faith is dead, being by itself. Without Christ’s propitiation in His blood, there is no way to accept the sinner, so there is no way to express love without judgment for them. And this manifests directly in your words: you want to withhold mercy and grace from those who most desperately need it. And you write this script onto God Almighty. God have mercy on your soul. Interestingly, the ones that will be judged according to their works are Satan’s ministers. Check it out. “And no wonder, for even Satan disguises himself as an angel of light. Yep, Satan’s boys are the ones telling folks to go out and be righteous and you will justify yourself before God. Yep, ole Satan is all about some good old time religion. He loves some morality and wants you to love it too. Love it straight into, you know where. You wanna now what the crazy thing about these guys teaching this law based living. They will be standing in front of a fair judge saying, “You are obligated to me God. I’ve kept my end of the bargain. Pay up with some eternal life.” Thats not gift. Thats some kind of bilateral contract like lawyers make putting others in obligation, but this is serious. Making God obligated to me like an employer paying a 40 hour wage to an employee for their service? Come on man! But look what Paul wrote in Romans 4:4 “Now to the one who works, wages are not credited as a gift but as an obligation. (Rom. 4:4 NIV) Take the gift bro, really. The “free gift of God in Jesus Christ our Lord’ Romans 3:21-26. O.K. Galatians you mentioned. Outside of justification one’s identity is all the things listed. “Once were” Yet, the New Testament clearly shows us we are holy, blameless, justified, sanctified, seated with Christ in the Heavenlies, redeemed, adopted, reconciled, complete, etc to ad nauseam. Bro. drop all of your works. drop all you goodness. drop all your righteousness. throw all your Veggie Tales DVD’s out the window and flee only to the cross…….